Hey's saw, ebony and metal, c 1860s. Pictured here is an example of a Hey Saw, which would have been used to saw through bones of the skull. The small head of the saw was designed in such a manner so as to reduce shards of bone from flying into the face of the surgeon. 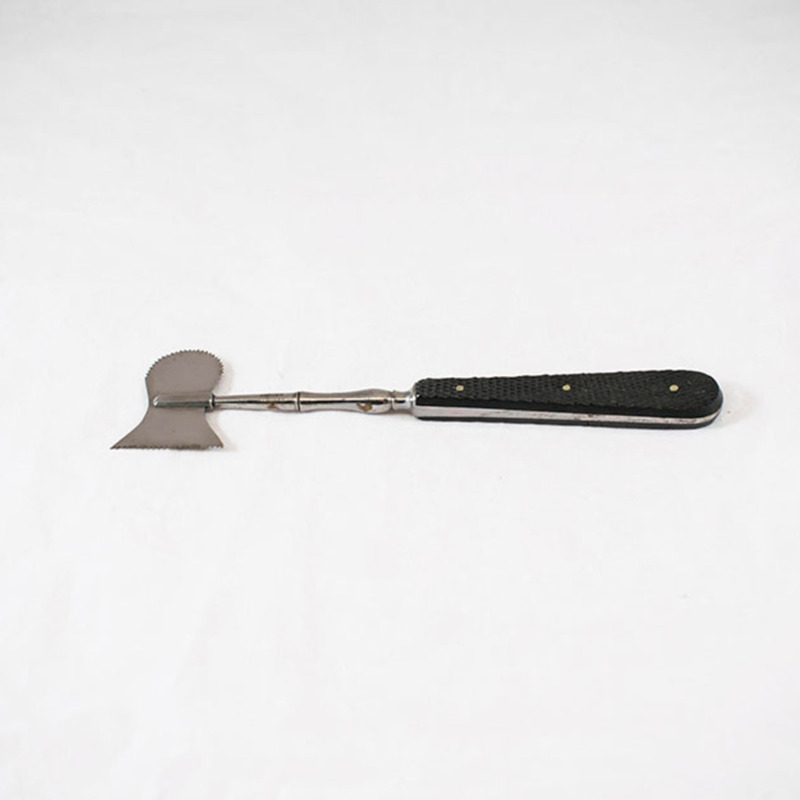 S. Maw & Son, Ltd.; 1860-1979; Health care manufacturer, “Hey Saw,” Heritage, accessed April 23, 2019, https://heritage.rcpsg.ac.uk/items/show/88. 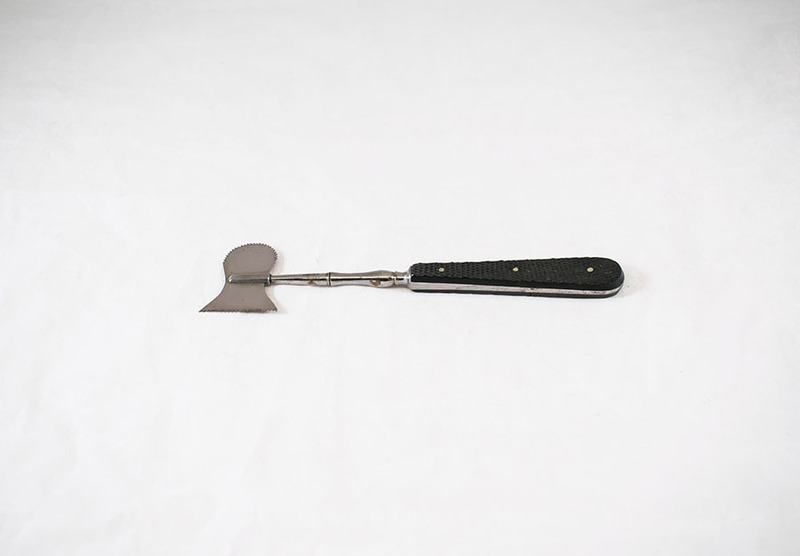 Description: Hey's saw, ebony and metal, c 1860s. Pictured here is an example of a Hey Saw, which would have been used to saw through bones of the skull. The small head of the saw was designed in such a manner so as to reduce shards of bone from flying into the face of the surgeon.